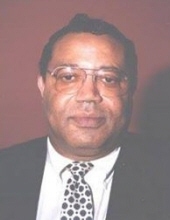 Celebrating the life of James M. Green, Sr.
Obituary for James M. Green, Sr.
James M. "Dad" Green, Sr. 81, passed away Saturday January 12, 2019. He was a member of Ebenezer Missionary Baptist Church and retired from Harmony Landing Country Club. He is survived by his children; Laketa Moore, James M. Hayden, James M. Green Jr., Kenneth M. Green and a host of other relatives, friends and church family. Visitation will be held on Friday 5PM to 8PM; Service will be held on Saturday January 19, 2019 both services will be held at his church 1057 S. 28th Street; Interment: Louisville Cemetery. Hathaway & Clark Funeral Home, Inc.
To send flowers or a remembrance gift to the family of James M. Green, Sr., please visit our Tribute Store. "Email Address" would like to share the life celebration of James M. Green, Sr.. Click on the "link" to go to share a favorite memory or leave a condolence message for the family.